We have all clicked agree to lengthy "Terms and Conditions" documents in order to use of everything from iTunes to Facebook and Gmail. But exacty what does it say in these documents? And what does it mean for our right to privacy and the use of our data? Now the new documentary film 'Terms And Conditions May Apply' takes a look at these questions, and examines what exactly we've signed away when we click "I Agree." A conversation with humorist and best-selling author David Sedaris on writing, his public/private persona, and finding humour in the painful. His latest collection of essays is called "Let's Explore Diabetes with Owls." The Public - Filmmaker Matt Anderson, "Fall & Winter"
A conversation with filmmaker Matt Anderson on his stunning new documentary Fall & Winter. The film, which played to sold out theatres at the SXSW and Hot Docs film festivals, is a journey into the root causes behind the global environmental crises currently facing humanity, and a call to reimage the relationship we have as humans with the natural world. Share: The Public - Filmmaker Matt Anderson, "Fall & Winter"
Fred Penner, the renowned Canadian children's performer and beloved television peresonality speaks about his life growing up in Winnipeg, the TV show that endeared him to a generation, and his belief in the transformative power of music. An interview with award-winning journalist Carl Honore on his new book The Slow Fix - why In a culture obsessed with speed, the way to deal with our complex problems might just be to take our time. Lewis Lapham, the founder of Lapham's Quarterly, and acclaimed editor emeritus of Harper's Magazine speaks about his days growing up in San Francisco and his time at Yale, as well as shares his reflections on history, journalism, and the state of American society today. This week, Thomas Frank, journalist, writer, and columnist for Harper's Magazine, shares his thoughts on election 2012, Obama's second term, as well as a conversation about his own life and background - how he became the writer and cultural thinker he is today. We're back from our break! This week on The Public we speak to Canadian philosopher, author and humanitarian, Jean Vanier, on spirituality, community, and his philosophy of becoming human. In the second half, award-winning documentary filmmaker Liz Marshall on her upcoming film The Ghosts in our Machine which examines how we treat animals in our modern industrial society. This week, an interview with Globe and Mail columnist Doug Saunders on his latest book 'The Myth of the Muslim Tide', which challenges the notion that Western values are being threatened by a wave of Muslim immigration. Pulitzer Prize winning journalist, and outspoken public intellectual Chris Hedges on his latest book Days of Destruction Days of Revolt, and on his life spent fighting for political and social justice. Founder of True North Records and iconic figure of the Canadian music industry Bernie Finkelstein on his beginnings as a producer, the Toronto Yorkville scene of the 1960s, and his life spent celebrating and fighting for homegrown Canadian music and cultural talent. A feature conversation with former mayor of Toronto David Miller on his childhood growing up in Britain and Canada, his life in politics and his ongoing efforts to make our cities more sustainable. Writer and Professor of Philosophy Mark Kingwell reflects on modern society, valuing the intrinsic, and some of his early influences that turned him on to the world of philosophy and literature. Sean Wainsteim is a Toronto-based filmmaker and director. He also happens to be the creative and award-winning mind behind some of the most imaginative music videos to come out of Canada in the past few years. Working with the likes of Tokyo Police Club, Hannah Georgas, and Wintersleep he's become known for his ability to take familiar songs and interpret them in new and novel ways. I sat down to talk with Sean about the creative process, the power of a good story, and the perennial challenge of creating art that rings true. Writer and artist Lindsay Zier-Vogel speaks about her unique community art initiative The Love Lettering Project, and Juno nominated musician Jeremy Fisher on his latest album Mint Juleps and the virtues of the simple life. Journalist and author Linda McQuaig, on her latest book The Trouble with Billionaires, and her early political influences, including the time spent as co-editor of The Varsity, the campus newspaper at the University of Toronto. An interview with Jonathan Goldstein, the host of CBC's Wiretap and an contributing editor for This American Life, on his life as a writer and his journey in public radio. In this episode writer, activist and feminist Judy Rebick speaks about occupy, social movements, and the formative years she spent traveling around the world. A full-hour interview with writer and public thinker John Ralston Saul- On citizenship, corportism, and the experiences that influenced him as a young man. 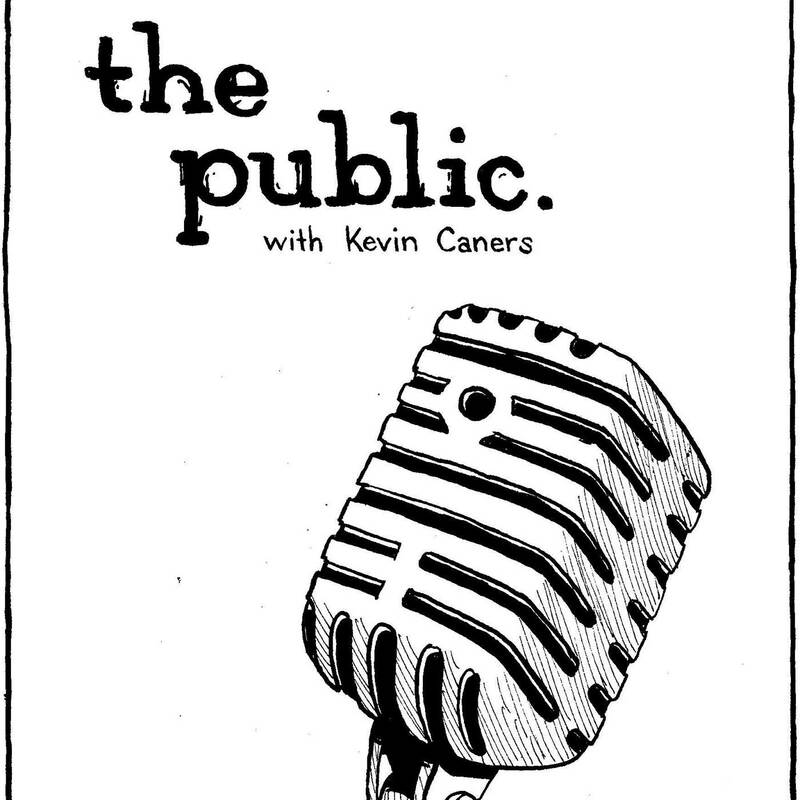 Hosted by Kevin Caners for CIUT in Toronto The Public is a weekly exploration of arts & contemporary society through in-depth conversations with todayâ€™s most compelling thinkers, writers and artists.